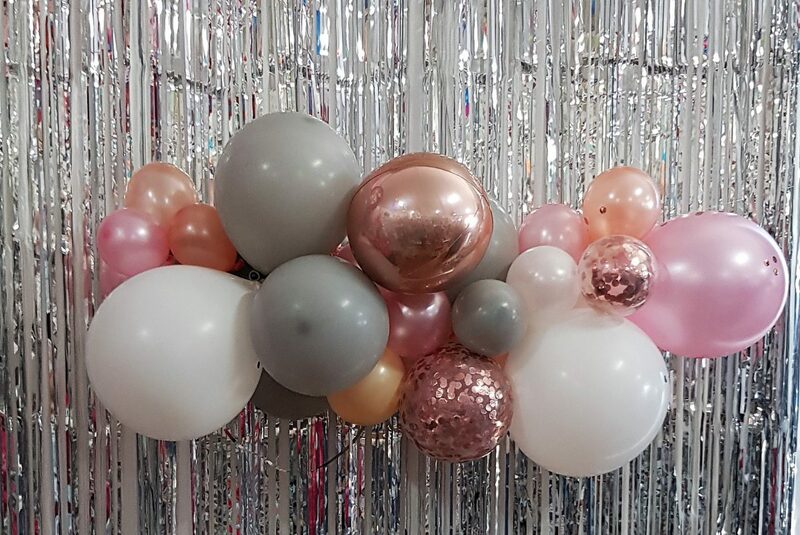 Organic Balloon Arch. 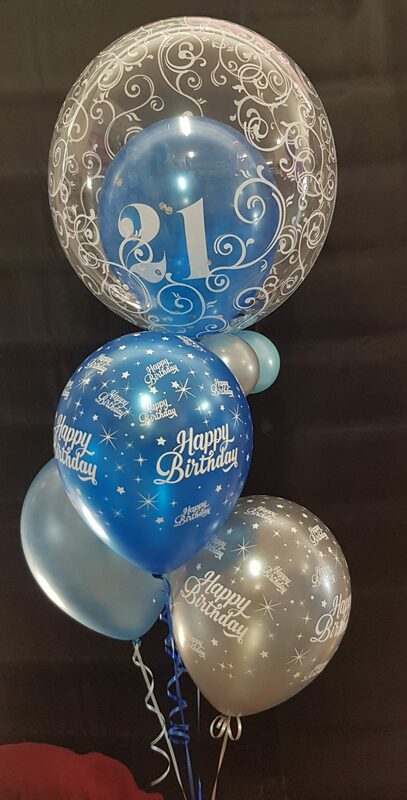 Metallic balloons, Foil balls and confetti balloons made to meassure. The organic cloud includes solid colour, printed, confetti, plastic and metallic balloons, wire and hooks. This is an easy set up with 3m hooks which leave no marks on your walls or windows.